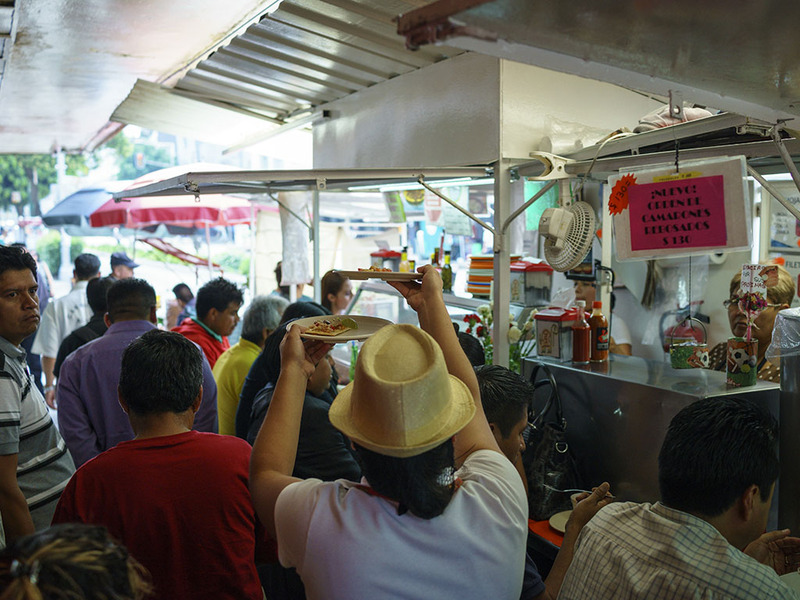 In a town that runs on tacos, tacos de guisado may be the most ubiquitous version of the iconic dish in Mexico City. 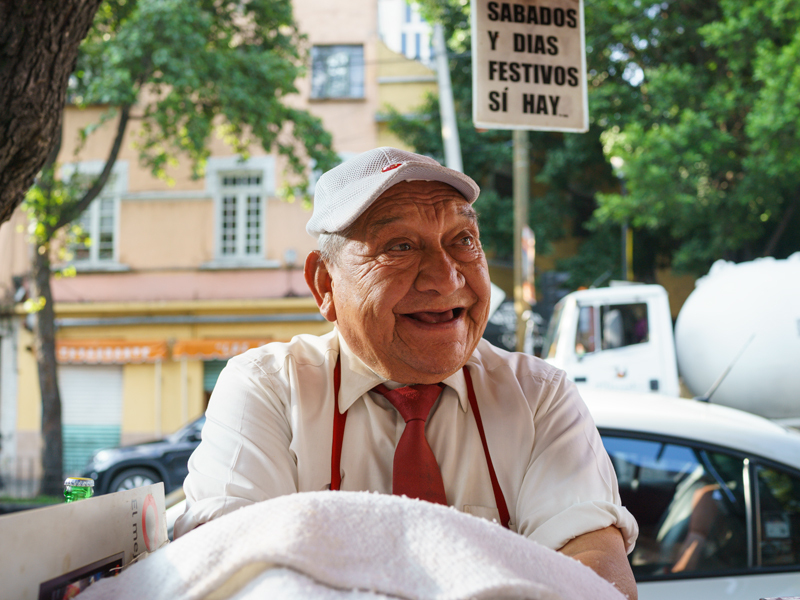 They can be found almost anywhere in the city, from specialty restaurants to markets, tianguis and street vendors selling them at stalls or even out of the trunk of a car. 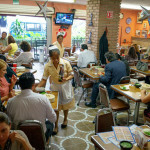 It may be an obvious point, but what distinguishes some tacos de guisado from others is how well prepared the guisados (home-style cooked meats or vegetables typically displayed and kept warm in earthenware dishes called cazuelas) are – and sometimes those coming out of the back of a car top ones from more “established” places. 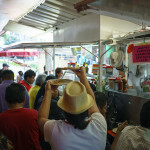 With so many places to choose from, how to determine who makes the best tacos de guisado in town? 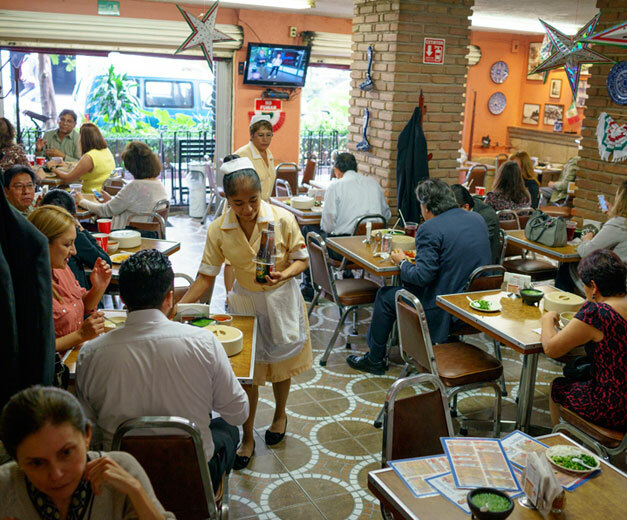 One contender we had long heard about is Beatricita, a brick-and-mortar taquería in the Zona Rosa that has quietly been using the same recipes to great acclaim for almost 110 years – certainly strong evidence that its guisados could be some of the best in the city. To confirm things, we visited the restaurant recently. Before we could get down to eating, there was the initial matter of resolving the exact date it started operating. The menu said that the restaurant had been in business since 1910, but a sign on the wall said 1907; a third sign pointed to 1971. It all started to make sense when we learned the founders’ history. Beatriz Muciño Reyes, born in Estado de México in 1887, and her brother, Claudio, opened their first taquería in 1907 downtown. 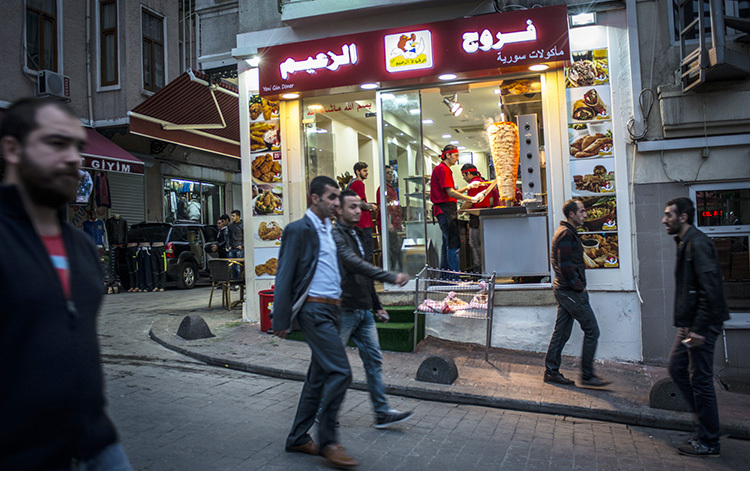 A few months later, they opened a second restaurant a few blocks away on what is now the corner of Bolivar and Uruguay. 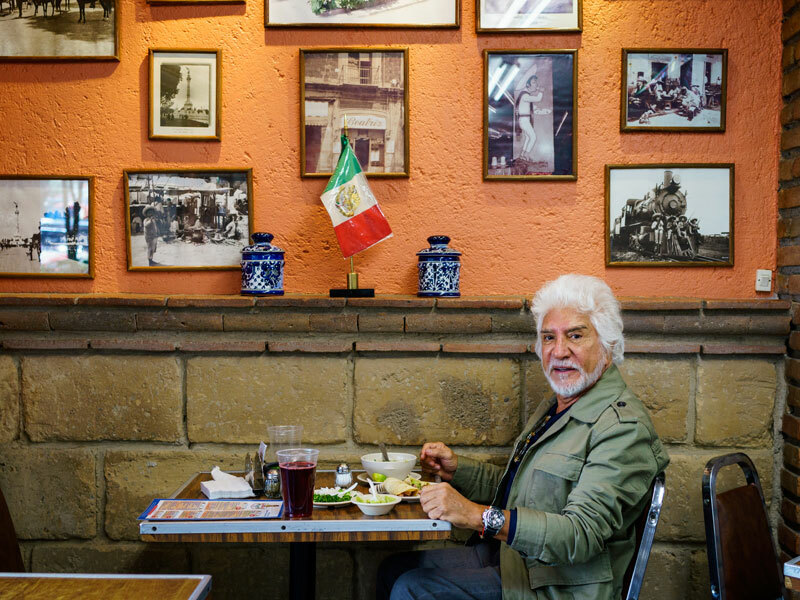 This establishment became so well known that even Porfirio Díaz, one of Mexico’s most infamous presidents, regularly dined there. 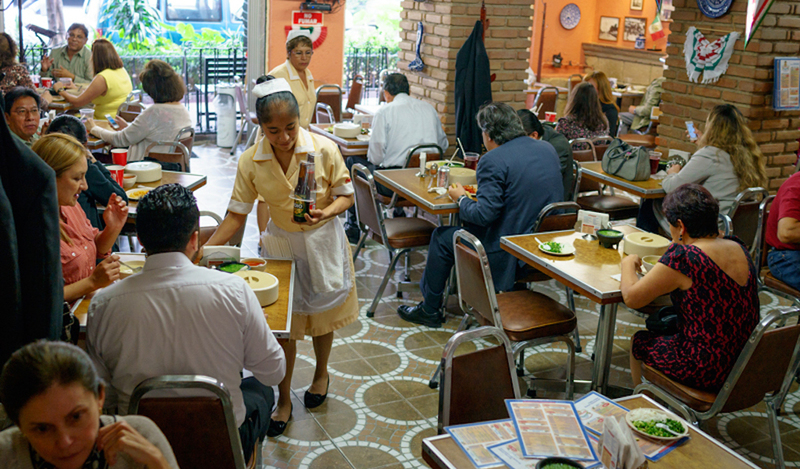 In 1910, the Muciño family decided to open two more taquerías, both downtown. 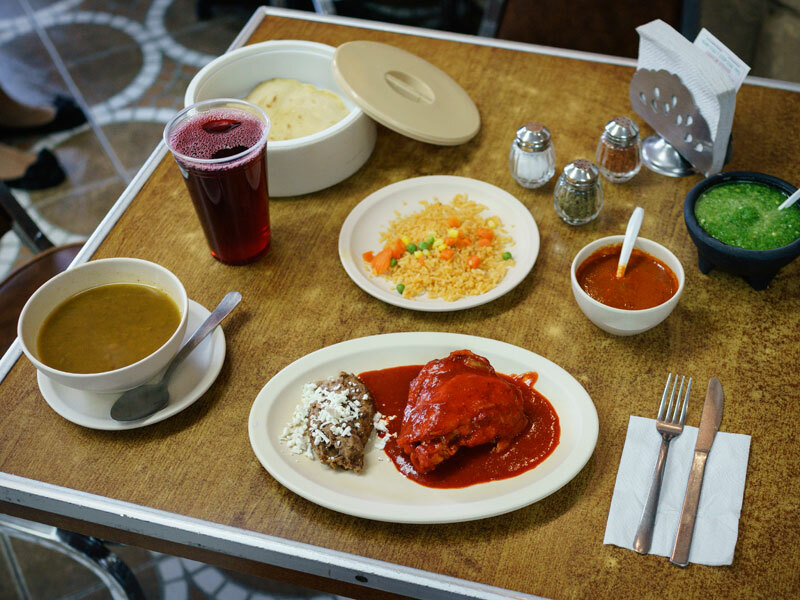 Decades later, in 1971, the descendants of one of the latter taquerías moved to Colonia Juárez, better known as Zona Rosa, taking with them Beatriz’s original recipes. This is the current location of Beatricita, a restaurant with a long tradition of delicious tacos de guisado and other classic Mexican dishes. The current owner is an associate of the Reyes family’s descendants, but we can be sure that our food tasted the same to us as it did to Díaz more than a century ago. 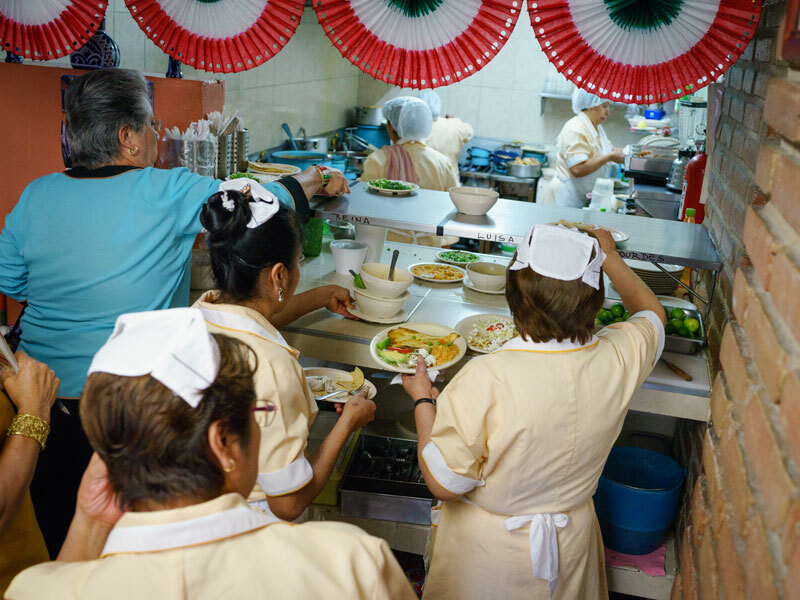 The menu lists typical items such as enchiladas, soups, breakfasts, pozole, pancita and carnitas – but we were there for the tacos. The list of taco fillings is long: chicharrón, nopales (cactus paddles), tinga de pollo (chicken cooked in a tomato sauce), chorizo with potatoes, beans, rajas con queso (poblano peppers with cheese), barbacoa, carnitas and a variety of moles. 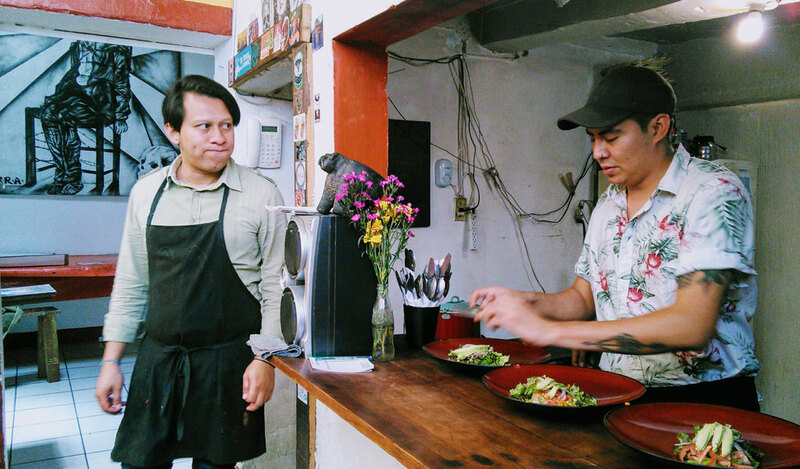 We tried the tinga de pollo, rajas con queso and chicharrón in green sauce – all delectable. We still had room for one more so we asked our very attentive waiter, Lola, which one of the moles was the best. Without any hesitation she indicated the red one, which in this case was the mole poblano. And we were grateful for the suggestion: The mole was a delicious combination of spicy, sweet and savory in a smooth sauce. We did end up trying some of the pozole as well. Beatricita offers the option of pork or chicken, white or red. We ordered the red chicken pozole “buffet,” meaning that for about US$5 you can eat as much pozole as you want. And after that outsized and deeply satisfying meal, we took a stroll around Zona Rosa, our stomachs full and our evidence-gathering completed. 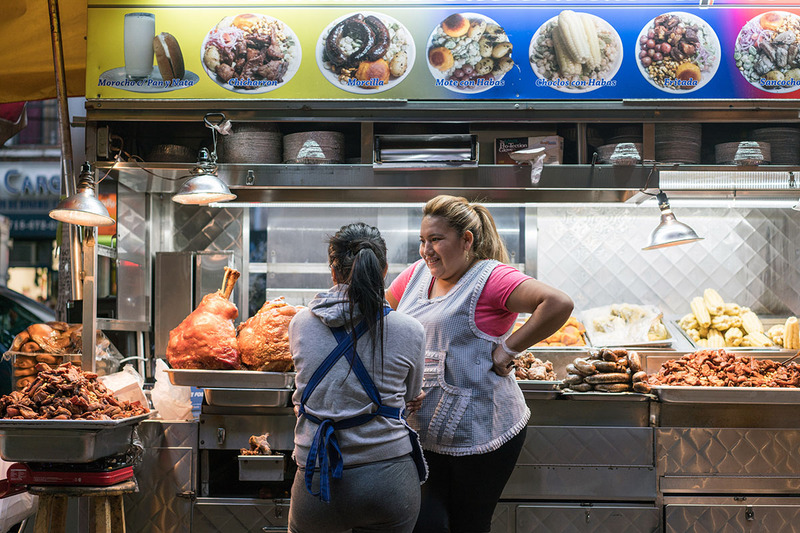 Editor’s note: To celebrate the our 2019 neighborhood guide, we will be republishing dispatches from the less-visited areas – like Juárez – that our correspondents are planning to explore this year.